Head trouble off at the pass by giving your boat a thorough physical. Add a phenolic (plastic) hammer to your tool box. It’s a favorite of good surveyors for one reason: it works. And it doesn’t require a lot of training. 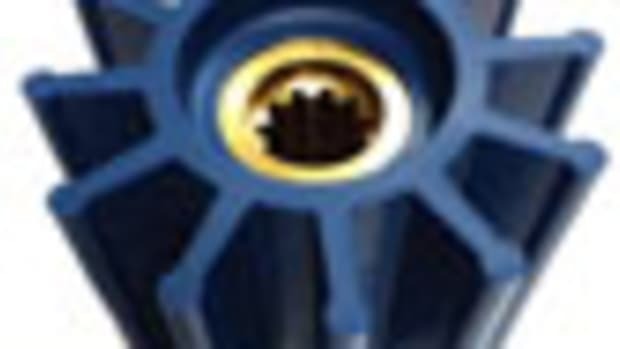 Longtime readers of this column might remember “A Second Pair of Eyes” (December 2013), about the importance of having your boat professionally surveyed every few years to discover problems and plan preventive maintenance. The gist of that column was that ignorance is not bliss: Dealing with issues up front, while they’re still developing, is safer, cheaper, and less hassle than reacting to them once they’ve matured. 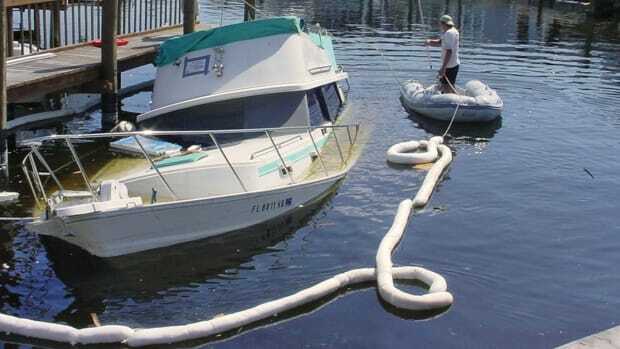 Hiring a competent surveyor to inspect your boat thoroughly is a good way to do this. But how many readers actually took that advice? I’m guessing not many. Nobody wants to spend money if they don’t have to, even if it lowers costs down the line. And surveyors don’t work for free. But preventive maintenance is valuable, so here’s another suggestion: let’s call it being your own boat doctor. 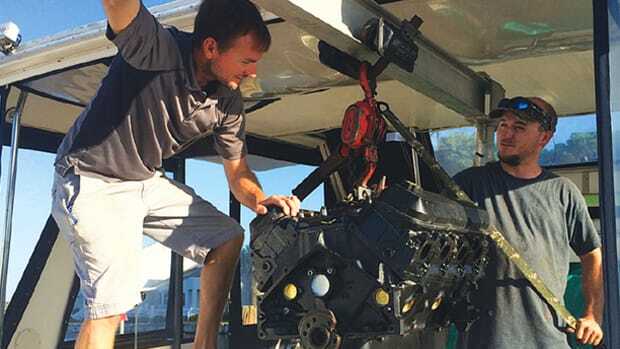 The work is not rocket science, it doesn’t require much in the way of equipment, and it’s a way to learn a lot about the nuts and bolts of your boat, info that will come in handy if/when things go south. Do not misconstrue this advice; I’m not suggesting you not hire a surveyor when buying or selling a boat. Both times you need a impartial ally on your team, someone to see the vessel as she really is, not as you hope she is. When selling, you want your surveyor to find problems before the buyer’s surveyor does, so you can fix them; it’ll be cheaper than knocking down the price to cover them. When buying a boat, nine times out of 10 not hiring a pro to carry out a pre-purchase survey will cost you more, sometimes a lot more, than the fee you saved. The insurance company will probably require a survey, anyway. “He who represents himself has a fool for a client,” said Abraham Lincoln, and he who does his own survey can find himself in much the same predicament. When you get your annual physical, your family doctor, usually a general practitioner, checks out your whole body, and refers you to a specialist if necessary. Think of inspecting your boat in the same way: Be a GP, then call for help if you need it. While most surveyors consider themselves all-around experts, their real expertise is in evaluating the structure of the boat: They’re more like orthopedic surgeons than general practitioners. Instead of X-ray machines and MRIs, surveyors rely on moisture meters, sounding hammers, and years of experience and training to determine what’s happening under the gelcoat. It’s not a skill one can develop overnight, so if you have concerns about your boat’s bones, find yourself a really good surveyor. 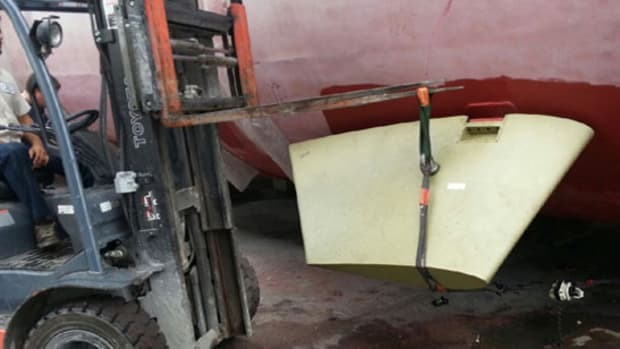 Water in the laminate from osmosis and/or leaking around underwater fittings and delamination caused by sloppy lay-up practices are the two main dangers to a fiberglass hull. If your surveyor finds any of these—and it’s what they’re good at—he’s repaid his fee many times over. 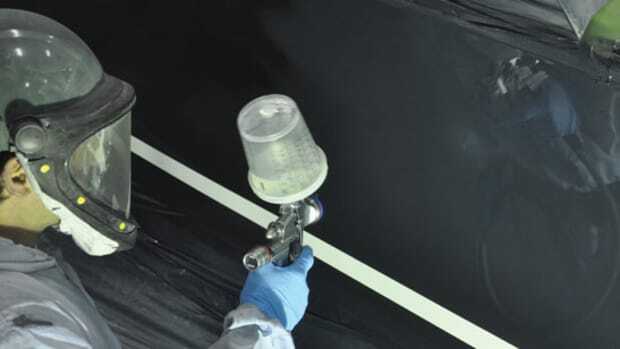 But over the past 20 years or so, most builders have improved their construction practices, using vinylester resin, high-tech gelcoat, and epoxy barrier coats under the antifouling to waterproof their hulls. But the deck? Not so much. Even if your deck looks fine, if it’s cored (and most are), hire a surveyor every few years to check for water leaking into the core around poorly bedded fittings, stanchions, ports, hatches, and other perforations. Water in deck core is a serious problem, one that’s complex and expensive to solve. Nip it in the bud. Surveyors work from a checklist, which gives them a plan to follow and ensures they don’t forget anything. If you have the prepurchase survey report from when you bought your boat, adapt your self-survey list from that. Leave out the sections on equipment (PFDs, docklines, fenders, anchors, etc.) and cosmetics—you know all that already. Concentrate on structure and systems. 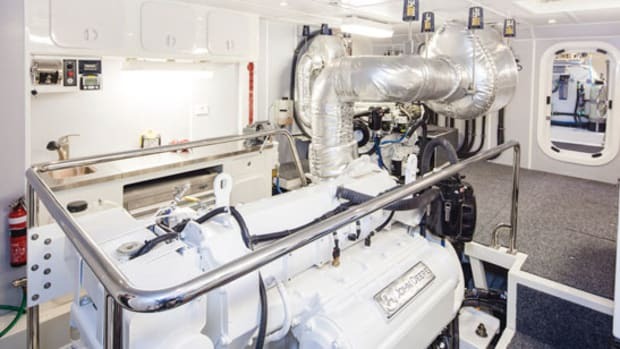 Although hull and deck structural failures are both dramatic and costly, most onboard problems come from systems—bilge pumps clog, air-conditioning doesn’t work, the generator leaks oil, etc. If you don’t have a report to cadge your list from, make your own. Start by investing in Surveying Yachts and Small Craft, by Paul Stevens. It’s a hands-on guide for surveying, based on a course Stevens taught at the International Boatbuilding Training College in Lowestoft, England. Although intended for British readers, Stevens’s instructions work just fine for the American side of the pond. The book’s very detailed table of contents is in itself a good survey checklist, and the corresponding text explains what problems to look for in each area. Stevens’s book is pretty good reading, too, if you’re into that sort of thing. There are many other books on marine surveying; a search on amazon.com will turn up several good ones. My all-time favorite is Surveying Small Craft, by Ian Nicolson, which was first published in 1974 and updated a couple of times, most recently in 1994. 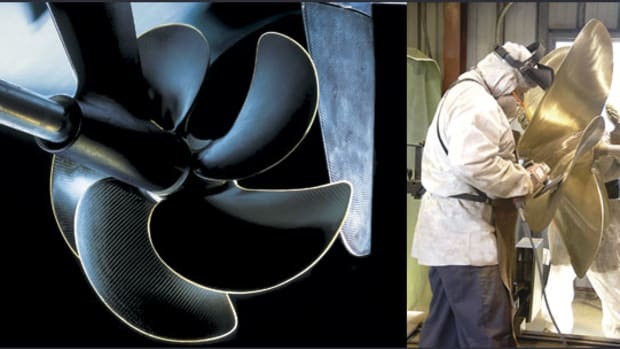 Nicolson, a yacht designer, surveyor, sailor, and author of 26 books, covers surveying wood and steel hulls as well as fiberglass, so it’s interesting reading for boat geeks. (Guilty as charged.) Nicolson’s drawings are meticulous, and worth way more than 1,000 words each. Surf the net, too. Anything by Nigel Calder is worth reading, and mostly free. And check into the wealth of information right here. Professional surveyors carry lots of fancy gear: moisture meters to find dampness in laminates; audio gauges to measure the thickness of metal hull plating; thermal cameras to look for hot spots in engines or electrical panels; a digital camera on a selfie-stick to photograph areas that cannot be reached. 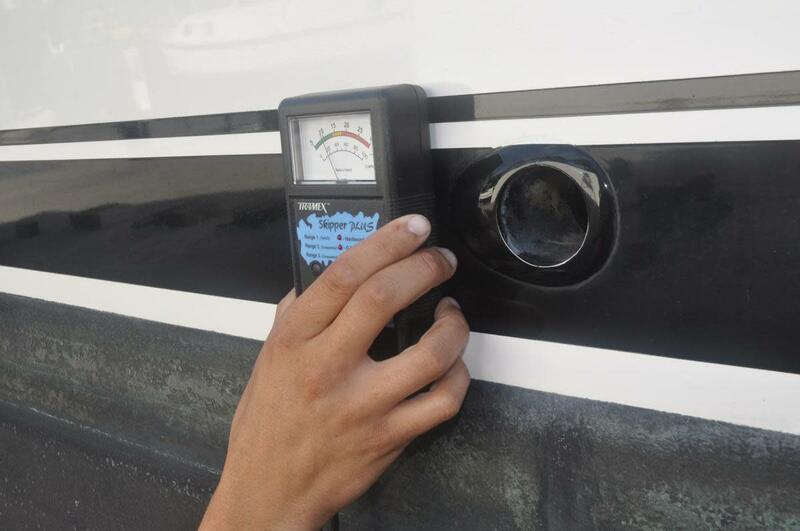 If you need an audio gauge, hire a pro—your boat’s beyond the scope of this column. The rest of the high-tech stuff is easy to assemble. Your mobile phone already has a camera, your kid has a selfie-stick, and FLIR sells affordable thermal cameras that will plug into most iPhone or Android models. Leave moisture meters to the pros: They take skill to use accurately, and their readings are prone to misinterpretation. Many surveyors still prefer to tap-tap-tap with a small hammer, even if they also use a moisture meter. So I suggest you buy one, ideally with a lightweight, non-marring phenolic (plastic) face. Also get a small, powerful flashlight, a magnifying glass, and a couple of pocket-sized notebooks, or a digital voice recorder. You won’t need many other tools—maybe a screwdriver and an adjustable wrench. Boat doctoring is more about looking than disassembling. Before you go whacking your own boat, find an old stern-drive derelict somewhere. Until not that long ago, builders were coring the transoms of these boats with plywood (now most use high-density foam), and almost everything over 10 years old has a soggy transom, so you can practice comparing the dull thud they make with the sharper sound of healthy laminate. Learning to use a moisture meter takes practice. For pro surveyors, time is money, so they work fast. You can be more leisurely—you don’t have to finish everything in one day. Take your time and have some fun exploring your boat. Crawl around the engines, look for fluid leaks, loose wires, salt-encrusted rust stains—anything out of the ordinary. Turn on all the electrics, then photograph the breaker panel with the thermal camera; if one breaker shows up hotter than the others, check it out. 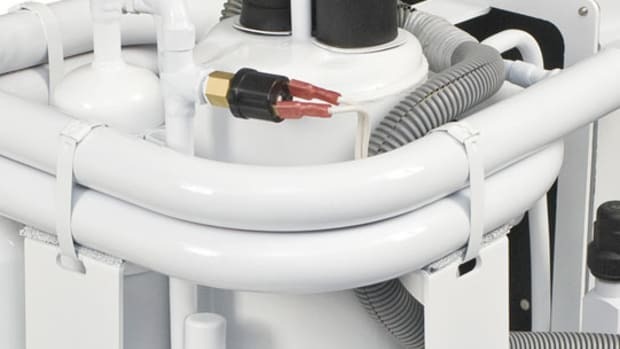 Maybe there’s a loose or corroded connection somewhere in the circuit; if you can’t find the problem, at least you know you have one and can call an expert. Same with the engines: Fire them up, let them get hot (a good excuse to take a boat ride), then shoot ’em with the thermal. Maybe one manifold is hotter than the others, or the port transmission oil cooler is glowing hotter than the starboard one. Once you start playing with the thermal camera, you’ll be shooting everything—and that’s good. When you get tired of contorting yourself in the engine room, go on deck. Not all the nasty stuff takes place in the far corners of the bilge. 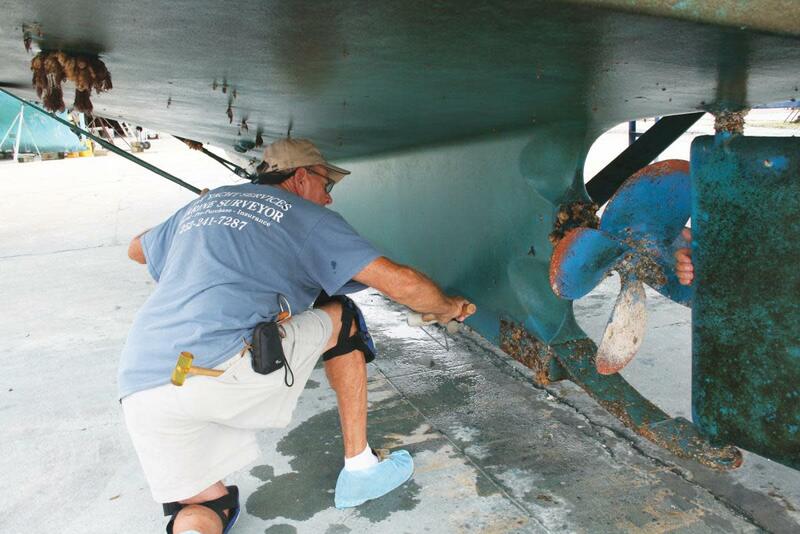 Deck gear is subject to damage from salt, sun, and corrosion. When was the last time you checked your running lights? They can fall victim to corrosion and water leakage and eventually become useless. Better to find and fix them now than face a 20-mile night passage in summer boat traffic with an unexpectedly dead sidelight. Be your own boat doctor at least once a season and your boat (as well as your wallet) will be a whole lot healthier.